Timbres colonie du Zanzibar oblitérés. timbres surchargés colonie du Zanzibar de très bonne qualité générale. timbres de la colonie du Zanzibar garantis par nos experts. timbres des Colonies françaises surchargés. Chinese New Year, Year of the Ox 9v & 1v S/S Imperf Plastic Proofs on 1v Collective Sheet Unissued. Small cut in top left marging not affecting proof. (d58)(d3739). Tanzania Mint & NH. Timbres colonie du Zanzibar oblitérés. timbres surchargés colonie du Zanzibar de très bonne qualité générale. timbres de la colonie du Zanzibar garantis par nos experts. timbres des Colonies françaises. MOTIVBLOCKS & KLEINBOGEN . Vielen Dank! Steckbuch mit 164 Stück, alle sauber . gute Motive wie Schach, Rotary, Auto, Tiere, Eisenbahn, etc. Es lohnt sich! Sehr günstiger Stückpreis! Persönliche Abholung - ist gerne möglich! Tanzania 1986 Flowers 30s (Nymphaea) with yellow omitted, complete sheetlet of 8 plus normal sheet, both unmounted mint as SG 477. Tanzania 1986 Flowers 1s50 (Hibiscus) with red omitted, complete sheetlet of 8 plus normal sheet, both unmounted mint as SG 474. ( YV.52 ) - DA CUI UNO CON ERRORE 5SU 30c. TUTTI CON GOMMA INTEGRA. #1002 Lions, Wild Cats 1v S/S Imperf Proof. (d51)(d3179). Tanzania Mint & NH. Tanzania 1994 set of 7 and souvenir sheet depicting local crabs, attractive marine life topical (1295-1302). Double your traffic. 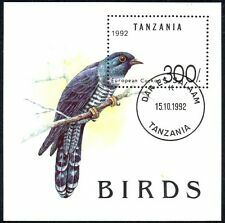 Tanzania 1994 set of 7 and souvenir sheet depicting local raptors (birds of prey), including eagles, falcons, hawks, ospreys, and vultures, attractive bird topical (1279-86). Double your traffic. EDW1949SELL : TANZANIA 1973 Sc #35-49, O17-26 Butterflies. Cplt sets Cat $62.00. 1973 Scott #35-49, O17-26 Butterflies. Both Complete sets. Very Fine, Mint Never Hinged. a pretty image. Tanzania 1994 set of 7 and souvenir sheet depicting local spiders, scorpions, and other arachnids, attractive topical (1235-42). Double your traffic. Timbres colonie du Zanzibar neufs et oblitérés. timbres surchargés colonie du Zanzibar de très bonne qualité générale. timbres de la colonie du Zanzibar garantis par nos experts. timbres des Colonies françaises. 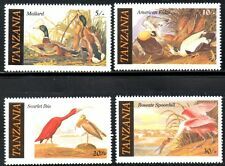 Tanzania 1995 set of 7 and souvenir sheet depicting local tropical flowers, attractive topical (1303-10). Condition: as per scan. We will not be responsible for any loss. #909 Olympics, Ice Hockey 1v Imperf Proof from set, 4-6 exist (d39)(d2724). Tanzania Mint & NH. 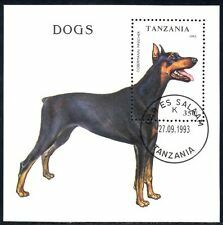 Timbres colonie du Zanzibar neufs. timbres surchargés colonie du Zanzibar de très bonne qualité générale. timbres de la colonie du Zanzibar garantis par nos experts. timbres des Colonies françaises. série des colonies françaises en très bon état dans l'ensemble. (d51)(d3190). Tanzania Mint & NH. CTO SET OF 7. IN BLOCKS OF 4. ALL STAMP SHOWN IN SCANS. Tanzania 1986 Royal Wedding (Andrew & Fergie) the unissued set of 6 individual imperf deluxe sheets unmounted mint. Tansania 50/53 . ist nicht ausweisbar. ((8500/-) - Altamira - Spain. Tanzania 2017 Prehistoric Cave Paintings - Mint Never Hinged (MNH). Sheet I with 1 value (1v S/S I) 3) Select each item and 'Add to Basket'. (d61)(d3931). Tanzania Mint & NH. 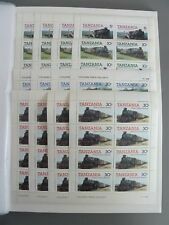 TANZANIA, # 827, Souvenir Sheetlet, Mint, Never Hinged. 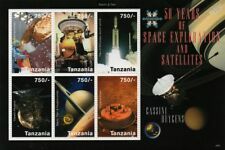 TANZANIA : New Issue collection mostly from 1980s-2000s. Very Fine, Mint NH. New Issue collection mostly from 1980s-2000s. Very Fine, Mint Never Hinged. a pretty image. 150 FREE professional. < < < < < < < < < < < < < < < <. 1996 Jerry Garcia, Sunflowers 1v S/S on FDC (d2329). TANZANIA 1979 BUTTERFLY Issue SURCHARGED 50c on 70c Plate 1A,1B,1E,1F SHEET/100. DEFINITIVES of 1973, the 70c value obliterated by a Bar. This is off the HARRISONS PRINTING with Printing Plates. TANZANIA BUTTERFLY LOCAL SURCHARGED 50c on 70c Plate 1C,1D,1G,1H FULL SHEET/100. TANZANIA 1973 BUTTERFLY DEFINITIVE Issue FOUR Complete SHEETS of 50 MNH. TANZANIA 1973 BUTTERFLY Definitive Issue - FOUR VALUES to 10/- in SHEETS of 50 MNH. described Definitive Issue and these are numbered 346, 277, 397 and 106 consequently and they have. Pope John Paul Complete set of 10 Sheetlets. Very Fine, Mint Never Hinged. 1990 Scott #825-34. Doing that is against U.S. and international laws. a pretty image. (2000/-) - Rhinoceros. Tanzania 2013 Animals of Africa - Mint Never Hinged (MNH). (2000/-) - African Elephant. Sheetlet with 4 values (4v M/S) (2000/-) - Zebra. Very clean Mint & Used collection on album pages with many Better & Complete sets. Doing that is against U.S. and international laws.